We get it. You love your North End cannolis, but it’s time to broaden the dessert horizons. With world-famous chocolatiers and locally acclaimed candy shops, Boston has no shortage of sweets to sate your sugar cravings. Here’s our candy shops guide to finding the most decadent, creative confections this city has to offer. 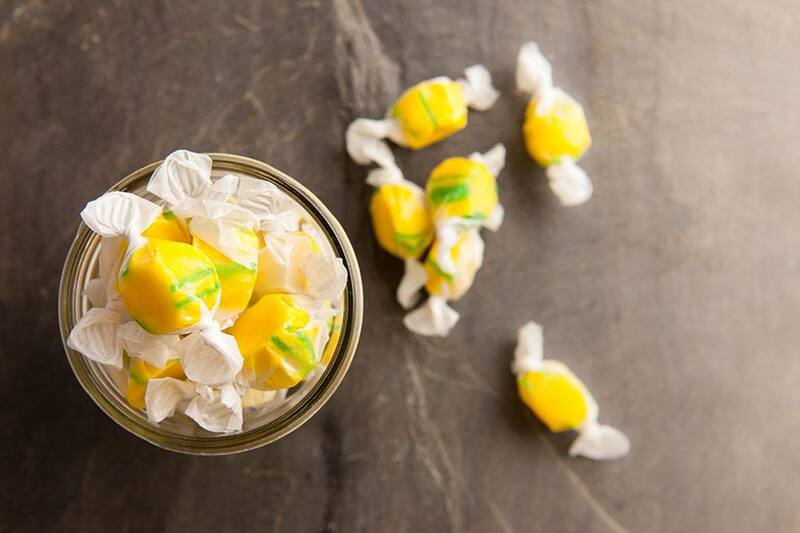 This Cape Cod confectioner has been whipping up its famed saltwater taffy since 1927. And it’s not hard to see why it’s maintained a following for the better part of a century, thanks to its knack for combining heritage taffy-pulling techniques with innovative flavors (piña colada, anyone?). 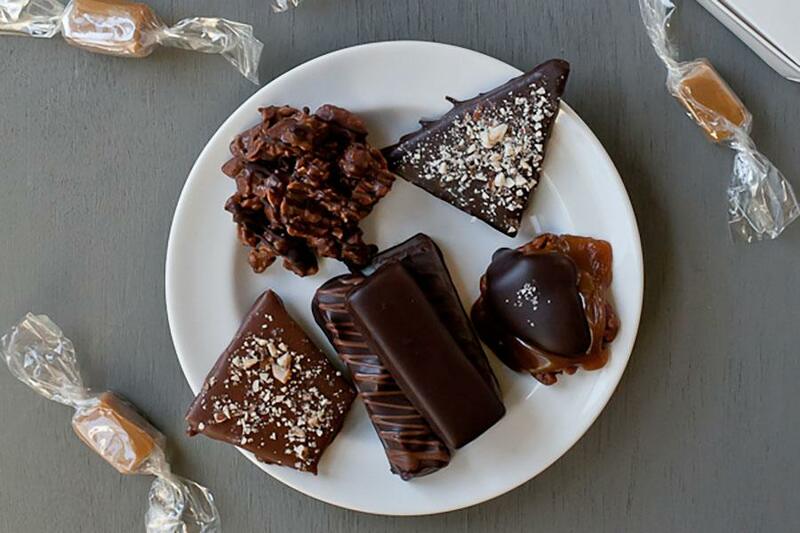 While some fans may insist that Cabot’s candies are worth crossing the ocean for, you won’t need to trek all the way to Provincetown to sample its wares: Its Harvard Square outpost stocks not just taffy, but also copper-kettle fudge and peanut brittle (made with a secret ingredient: beer!). 1300 Massachusetts Ave., Cambridge, 617-497-7500; 276 Commercial St., Provincetown, 508-487-3550; cabotscandy.com. 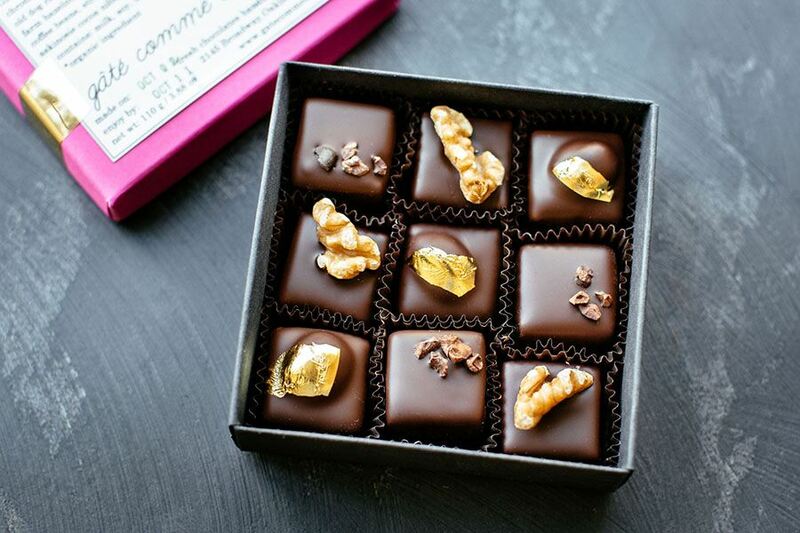 The new Jamaica Plain sweet shop debuted in June, but it already has Bostonians raving about their truffles. Perhaps it has a lot to do with the personal touch the shop’s sweets receive: Cacao’s tasty bite-size treats—from its champagne truffles to its spicy chocolate peanuts—are made in-house. You might even say that a love for chocolate-making flows through co-owner Leo Baez’s veins: Cacao farming runs in his family, and Baez eventually plans to import chocolate straight from his relatives’ farm in the Dominican Republic. Shop owners Elaine Hsieh and Catharine Sweeney finally have a welcoming storefront in Cambridge to showcase their handmade bonbons. But a decade without a true retail location never prevented them from earning raves from sweet-toothed fans all over town—and even across the globe, with EHChocolatier winning a 2017 “Master Chocolatier” award from the International Chocolate Salon. If we had to guess what the lucky judges tried, we’d imagine the duo served up their staff favorites: perhaps those decadent mini chocolate-cherry bites, or those caramelized-peanut-butter cups that’ll make you swear off Reese’s for life. 145 Huron Ave, Cambridge, 617-286-4124, ehchocolatier.com. 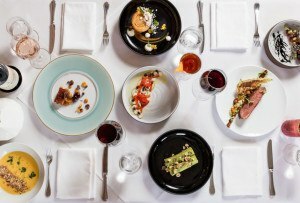 Since she first fell in love with the art of patisserie while studying abroad at Le Cordon Bleu in Paris, pastry chef Alexandra Whisnant has embarked on a confectionery journey to places such as the world-famous Chez Panisse in Berkeley. 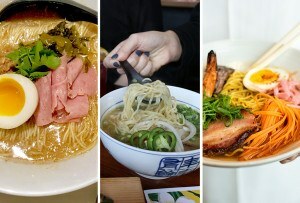 After returning to the Boston area in 2015, she finally has her own space, at an on-site open kitchen at Bow Market in Somerville. There, Whisnant is producing dainty artisanal bonbons, as well as her famous dark-chocolate mousse. Chocolate lovers should also consider stopping by Formaggio Kitchen in Cambridge, where Whisnant regularly delivers her chocolates. 1 Bow Market Way, Somerville, gatecommedesfilles.fr. Move over, macarons. Chocolate penguins and mice are the forever unbeatable too-cute-treats you won’t want to eat. 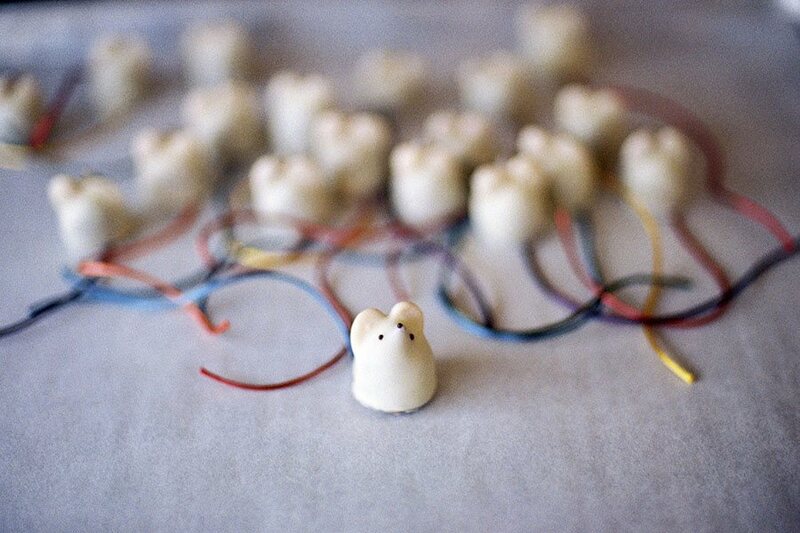 Prior to opening his first shop in the U.S. in 1987, founder Larry Allen Burdick worked in a Swiss confiserie, where he came up with the idea of using chocolate scraps from each day’s production to create tiny chocolate mice for children. Today, nearly 30 years later, Burdick chocolatiers still make the whimsical treats—now joined by penguins, and even ghosts, turkeys, or snowmen (depending on the season), for added cuteness. 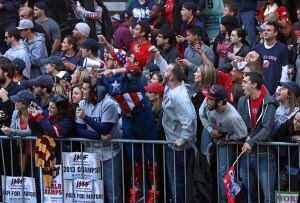 220 Clarendon St., Boston, 617-303-0113; 52 Brattle St., Cambridge, 617-491-4340; and other locations; burdickchocolate.com. Why choose between candy, cupcakes, and ice cream when you can have all three? Inspired by her mother’s own love for baking and desserts, owner Sandy Russo serves a range of delicacies from nostalgic sweets to house-made cupcakes at Lulu’s Sweet Shoppe. Among the bright pink walls and retro decor, you’ll find boxes of saltwater taffy, bubblegum cigars, and other old-fashioned candy assortments to indulge your childhood sweet tooth. Take a stroll down memory lane with a bag of your favorite confections, but don’t forget to grab a scoop of Lulu’s bourbon-butter-pecan ice cream or one of their blueberry-cheesecake cupcakes on your way out. Touting itself as Boston’s oldest chocolatier, Phillips Chocolates perfected their chocolate recipe long ago (even Oprah would agree, considering Phillips’ chocolate turtles were chosen as one of Oprah’s “favorite things” in 2015). Handcrafting all things chocolate—chocolate-walnut fudge, chocolate pizzas, you name it—this local confectioner isn’t content to rest on its laurels: After almost a century in business, they’re still constantly inventing new recipes with nontraditional flavors, such as their sesame-ginger brittle. 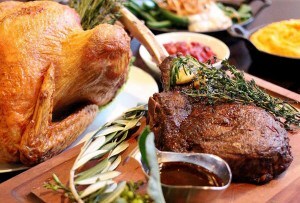 818 Morrissey Blvd., Dorchester, 617-282-2090, phillipschocolate.com. Maybe she’s born with it, maybe it’s Uncle Bill. 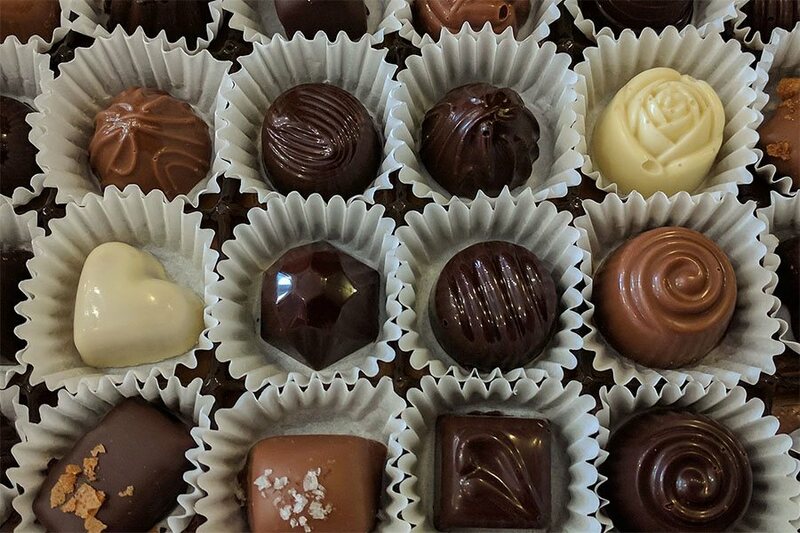 Serenade owner Nur Kilic claims that she learned everything she knows about confectionery during a decades long mentorship from William “Uncle Bill” Federer, the late, legendary Boston chocolatier (and master of the Viennese truffle). It’s clear that Kilic has made the transformation from student to master—evidenced by her gold-dusted dulce de leche truffles and intricate leaf-shaped maple creams. 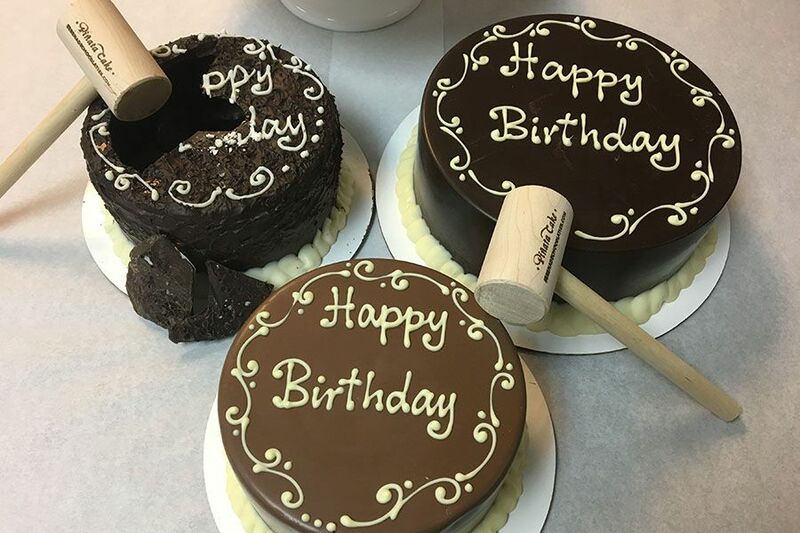 But Serenade’s real showstoppers are its piñata cakes: Each one is a chocolate shell that you break open to reveal a treasure trove of artisan bonbons—they’ll even throw in a mallet. 5 Harvard Sq., Brookline, 617-739-0795, serenadechocolatier.com. Did you know that, up until the 1950s, Main Street in Cambridge was once a hub of American candy production? The Boston Candy Museum, located inside of Spindler Confections, takes you through our city’s role in the confectionery industry—from Marshmallow Fluff to NECCO Wafers. Once you’ve worked up an appetite from all that learning, indulge in an assortment of hand-made chocolate and pick up a box of four (or 24, no one will judge), in rich flavors such as honey bourbon truffles, toasted-coconut fudge, and dark-chocolate-covered caramel. 2257 Massachusetts Ave., Cambridge, 617-714-4871, spindlerconfections.com. It’s trick or treat—for the 21-plus set. Owners Rosie O’Neill and Josh Resnick created their alcohol-inspired sweets after they watched Willy Wonka and the Chocolate Factory on a date and asked themselves, “Why should kids have all the fun?” These candies may not actually get you tipsy—but you can certainly get sugar-drunk off them. Think: champagne gummy bears made with actual Dom Pérignon, mock “martini olives” (white-chocolate-covered almonds), and the Corona collection of tart lime-slice gummies—all of which you can scoop into Tiffany-blue bento boxes. 800 Boylston St., Boston, 857-327-8550, sugarfina.com. Over the years, we’ve come to think of Taza as a beloved local business—but its story really starts in Oaxaca, Mexico, where founder Alex Whitmore found the inspiration to dive deep into the traditional process of making delicious stone-ground dark chocolate. 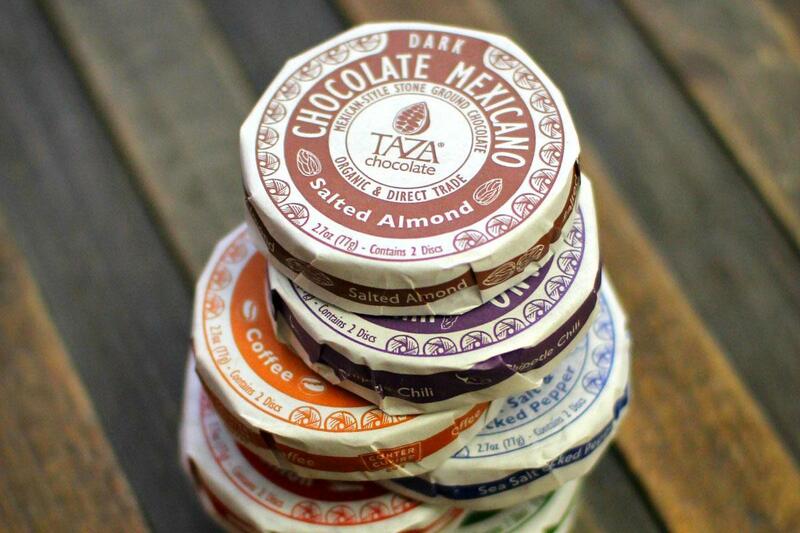 To make their trademark chocolates, Taza’s chocolatiers first grind their direct-trade-certified cacao on hand-carved molinos (or Mexican stone mills). For a truly authentic treat, opt for Mexican-style disc chocolate, which combines the rich notes of pure cacao with a spicy kick of chipotle or guajillo chili. If you can’t handle the heat, however, there are plenty of other options to choose from, including “Wicked Dark” bars (95% dark organic chocolate). 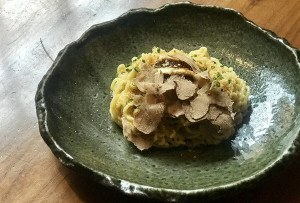 561 Windsor St., Somerville, 617-284-2232, tazachocolate.com.